As winter brings shorter days and increased darkness, we light the candles of Hanukkah to remind us of the light that we can create. 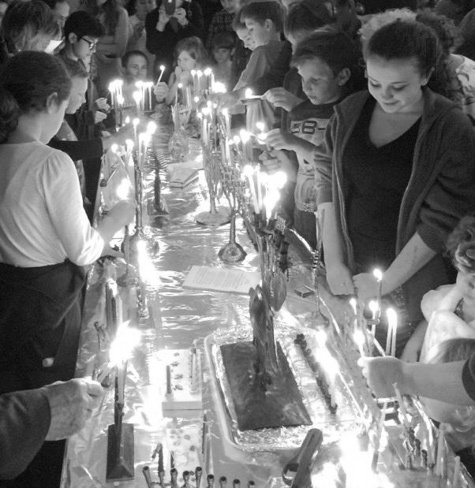 Hanukkah means “dedication,” and the name of the holiday honors our ancient ancestors who took the time and the care to rededicate the ancient Temple after its desecration. Today, Hanukkah is a time to show our dedication to the institutions that are meaningful to us. Click here to read TBH member Laura Hurtado-Webb's campaign appeal and experience in the community. Please consider a year-end gift to support the work of Temple Beth Hatfiloh—which includes supporting our Rabbi and staff, our sacred space, and our programs--and help contribute to the vitality of Jewish life in the South Sound. If you would like to make a donation by cash or check, please print our donation form (PDF) and drop it by the office or mail it to Temple Beth Hatfiloh, 201 8th Ave. SE, Olympia, WA 98501. Complete the form below to make a donation using a credit card through PayPal. You do not have to have a PayPal account to donate.